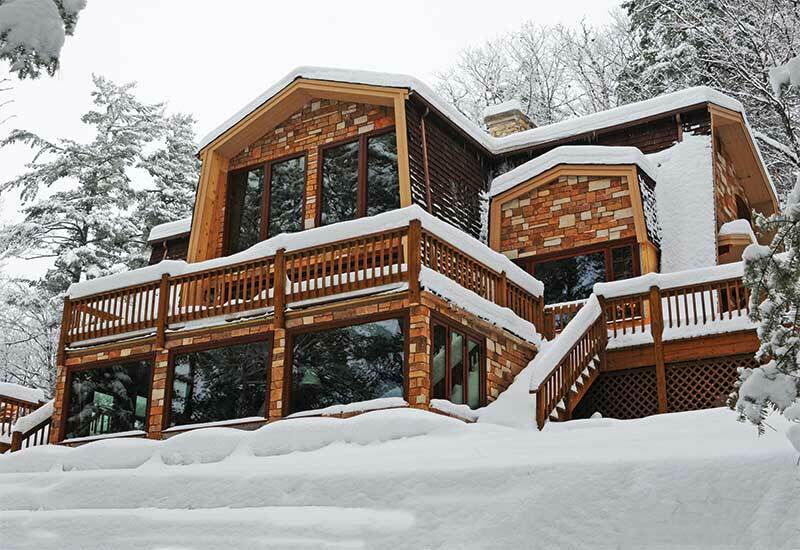 This Northwoods cabin went through an extensive update to the windows and doors that was specifically designed by Parrett per the owner’s requests. 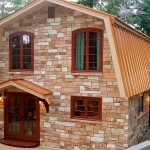 PRODUCT TYPE – The windows consist mainly of Extruded Aluminum Clad French Crank-Out Casements and Fixed Direct Sets. 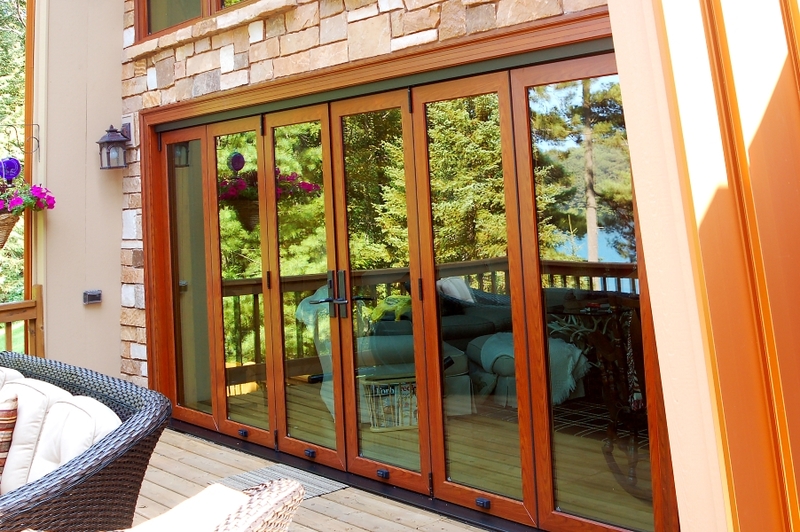 The doors consisted of a larger variety of product: Clad French Doors, Clad Bi-Fold Doors, All Wood Plank Doors and an All Wood Bi-Fold Door. 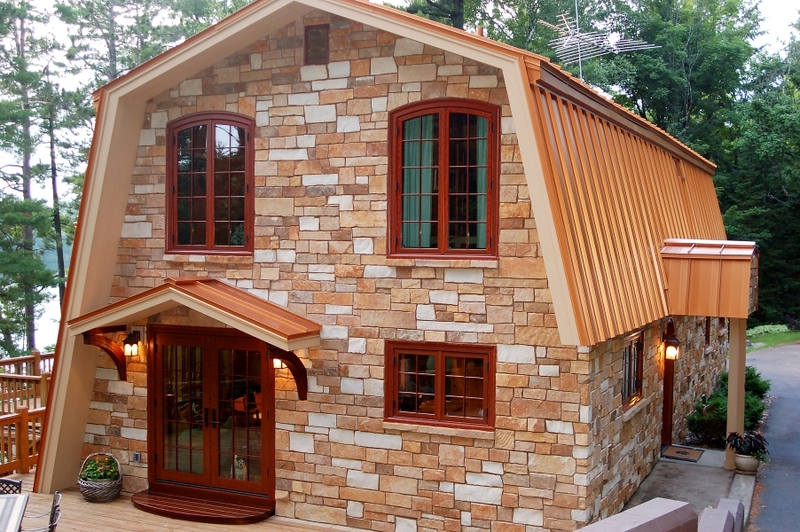 EXTERIOR MATERIALS – The customer wanted the exterior of their Northwoods escape to be virtually maintenance-free but still have the warm look of wood. Parrett made the recommendation to have the exterior made out of an extruded aluminum clad with a custom Wood Grain Paint. INTERIOR MATERIALS- The lumber selected was a furniture grade White Oak that was completely factory finished by Parrett (Stained with Two Clear Coats). GLASS – With the frigid cold winters, the homeowner also wanted a higher performing thermal window and door. Parrett made the recommendation of a dual coated LowE product that included a LowE coating on the #2 Surface along with another LowE coating on the #4 interior surface of the glass. 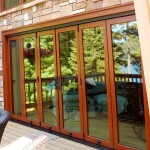 This application allows for thermal values similar to that of a Triple Pane Insulated Glass at a fraction of its cost. The Thermal U-Values on the project ranged from 0.30 down to a 0.24 on the fixed Direct Sets. The glass also was designed with a .090” laminate interlayer on the exterior lite to give the home a burglary resistant rating. 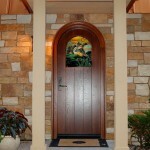 The front entry door also includes a beautiful one of a kind decorative piece of glass from Mezalick Design Studio. SCREENS – The operating windows all had fixed aluminum screens with a matching wood grain paint (similar to the exterior of the building) along with Concealed Roll Screens on all of the Bi-Folding and French Doors. 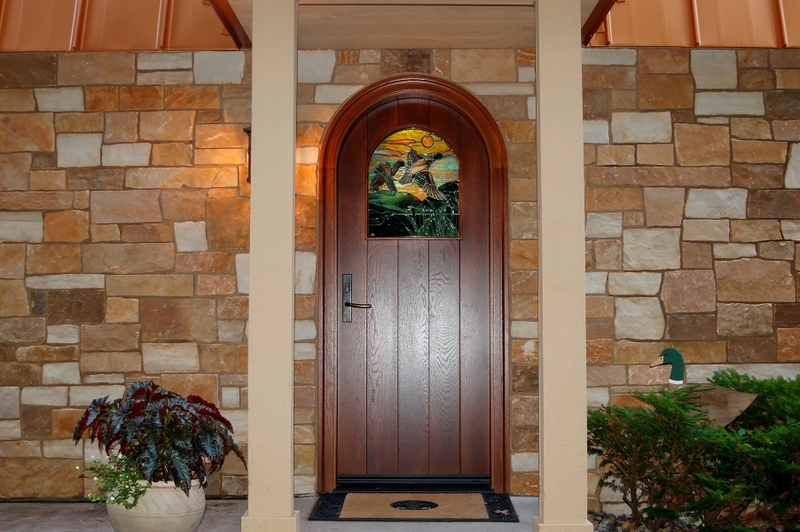 Another beautiful project with Parrett Windows & Doors!